Yes it looks good. Have we lost all the previous comments on individual constituencies? I’m going to close the comments on the old site in the next few days, but I’ll leave them up and there is a link to the old archived page at the foot of each of the new pages. About time we got rid of them. correction – Certainly not all of them by the way. Excellent work on the new site Anthony. I think the Lib Dems may be saved by the postal votes having being sent in last week before the Rennard affair and the collapse of the Pryce court case and Cleggs poor media performance. The story may be that Ed “one nation” Milliband will have failed to make any headway. Contrary to what I thought turnout appears to be high. I live 200m from a polling station and have passed it several times today and it has always been very busy. I think this will help the Lib Dems especially here in Bishopstoke where Mike Thornton is a local councillor. Not really a story – because its the sort of seat where Labour are entirely out of the reckoning. Everything about it signifies a seat which Labour could never win. So while it would be nice to get an increase in the vote, its not going to happen whilst this remains a tight LD-Con marginal. In fact, there are very few seats of this type where Labour are likely to do very well, but they certainly don’t need them to get a majority. If you ever find more time on your hands (unlikely, I know) could you extend the past results section to include general elections going back further ( I would love it to 1959; the first election I remember, but even to 1979 would be very informative), and byelections. Eastleigh is the sort of seat that would be held by Labour if it were situated in the north-east or Merseyside. Housing in Hampshire is a lot more expensive so someone living in a 3 bed semi-detaced house would be wealthier than their equivalents in the north-east or Merseyside. As I told Labour canvassers this is no-win territory for Labour – they can only hinder the Lib Dems. Unfortunately many former labour voters in Eastleigh Central and South (who used to vote Lib Dem tactically to keep the Tories out) turned to Ukip in the by-election. I have little doubt that Ukip topped the poll in those wards. Bishopstoke is now solid Lib Dem territory – the new MP is from here. The May elections will be heavily contested here by Tories, Ukip and Lib Dems. Can the regular posters help me settle an argument? It was a very big majority. IIRC the boundary changes were not pro-Labour (a Southampton ward being lost?). Stephen Milligan would have built up some incumbancy vote. The biggest pro-Labour swings were in London’s outer suburbs not ‘middle England’. I’d be interested in your views on my thesis. I imagine it might attract support from Pete. I see some truth in it, but not all of it. Email me on [email protected]. I think anthhony wants less of these debates as we move into the election run up phase, and to enciurahge new posters. BTw, I’m sure labour did appeal to private estates like those here in many seats in 1997 onwards but here it was somewhat different as the lib dems were here already. I think Joe’s analysis is correct, in that he reckons that the Tories would have won by about 2,000. The psephology in 1992 was rather similar to Wycombe, where indeed the Tories won by pretty much that margin in 1997. The main difference is perhaps that there is a substantial non-white vote in Wycombe. The Tories were so unpopular in 1997 that Labour could have beaten them if they and not the Lib Dems had won the by-election. There was a lot of tactical voting against Tories in 1997 and in Eastleigh the Lib Dems received votes from Labour supporters. But if that had happened Eastleigh would have returned to Tories in 2001. In anything but exceptional circumstances a good Labour performance here is winning 3 out of 15 wards in local elections. looking at housing Demographics if this seat was in the midlands or north i would expect it to lab/con Marginal at best (not enought outright owners to make it a safe con seat) .were a lot of tory voters moved out in the the 1990s ? i know the seat in 1997 had 19000 less voters than in 1992 creating a “lib dem” gedling which had its best outright owner areas moved in to sherwood in the 1980s. The notional result for 1992 on 1995/7 boundaries only reduced the con lead by about 2pc. I wonder whether that should have been reduced a bit more. The notional con drop in romsey and waterside was over 17pc, but these figures may be genuine. I shall miss Richard’s theses but I understand these can take us a little away from the main purpose of this site. I know Richard used to post occasionally on the old Vote UK site and the new incarnation of that would be a good place for these kind of discussions. I enjoy Richard’s robust contributions, even though he is critical of the stance of the Tories in recent years. .Myth11 may be right about the midlands/north, although that is very hypothetical. I guess if there had been no by-election, it might be a safe con seat by now. That said, I always had a mental note lodged about this seat recently. No conservative councillors in 2011 or 2012 when the libs are struggling to get into doiuble figures in the polls tells you something was wrong for my party. Don’t worry Pete I still intend to post them. If AW wants to delete them, or everyone else ignores them, then that’s fair enough. I don’t go to the Vote UK any more (apart from the occasional look) because I simply don’t have time to be a regular at more than two sites. So its PB and UKPR for me. In fact it seems that few people concentrate on more that a couple of sites now. As to the relevance of the more ‘political philosophical’ discussions I do think they have value in bringing out more general political and demographic waves. Upon which the elections are mere surfers. As an example we here had discussed about the vulnerability of Labour in wwc areas in 2007-8. At a time when the mainstream media and political parties were still focusing on the urban middle classes as being the battleground at the next election. In any case if the site becomes solely for ‘X was chosen as candidate for Y party in Z constituency, ‘the Q local byelection result in P constituency was’ and ‘which constituency has R been in since 1834’ I fear it wont be as enjoyable. Cameron’s lack of compassion offends lots of people including myself. That of the rest of the metropolitan ‘elite’ does likewise? I dare say that my definition of a ‘lack of compassion’ might be different to yours and different to Cameron’s. For example I find energy policies which shut down British factories (and transfer production to more polluting Chinese factories) and cause those on low income to suffer from fuel poverty to be extremely uncompassionate. Another example is that I found Labour’s lack of compassion towards the Redcar steelworkers offensive. Many of the local electorate did likewise. I’ve just seen AW’s comment. So will stop posting discussion pieces. This was my point Richard. I wasn’t asking you to desist from posting such pieces, but I had not read your above post before Anthony deleted it. I hadn’t realised AW had deleted it until you said so Pete – its still visible to me but ‘awaiting moderation’. Maybe AW would be so kind as to set up a page for such things as I do think they have use in discussing political trends with especial regard to their electoral effects. Its the linkage between politics and elections which I think this site did so well. I’ve calculated that the result from Eastleigh projected on all the Lib Dem held constituencies would reduce their numbers to 40, with Labour gaining 11, UKIP 5 and the Conservatives 1. For the Tories, the recent by election is an improvement on the previous by election in the 1990’s. Tories polled more than in the last Eastleigh by election 25% as opposed to 24%. The most significant factor of the 1990’s by election was not the fact that the Lib Dems gained the seat but that Labour gained second place. On this occasion, however, Labour have remained stuck on around 9% despite having a high profile candidate. While Conservatives may be concerned about the rise in UKIP, surely they must also be relieved by the poor performance of Labour. The Conservative performance here is not bad enough to make this an impossible seat in 2015, as technically it is a three way marginal with three parties finishing within 10% of each other. I think the UKIP vote will go the same way as the SNP did following by elections from the late 1980’s through to the the early 2000’s. Photo finishes in places like Monklands East did not result in any contest at the subsequent general election, and the slump in the UKIP vote is more likely to benefit the Tories in 2015 than the Lib Dems. I remember the 1970’s TV series ‘When The Boat Comes In’ with James Bolam. Read the book – pretty accurate in its view from that area that ‘ Tory = businessman = thief ‘. at the end of the book James Bolam becomes a trade union official which of course every decent human being would want to be.Even when the North East had more Tories few of them were Thatcherites. The Tories can be relieved if they want to, but the by-election doesn’t tell us a lot, except that UKIP are increasingly dangerous in by-elections. Richard you are right that your little speech on pb chimes well with me. If Labour win the next election in the midst of a poor economy then UKIP will very quickly become a much bigger problem for them than they are for the Tories. UKIP have shown that they can venture deep into Labour’s northern WWC heartlands in a way that is impossible for the Tories. UKIP’s MPs in 2020 might be representing the likes of Rotherham and Barnsley rather than Eastleigh. Places like Boston and Skegness or NE Cambs. Only because you lack imagination. The next Labour government will run into massive unpopularity with its own core voters once they realise that Labour won’t restore any of the “Coalition cuts” they’ve noisily opposed…and that in fact they will have to cut further deeper and faster than the coalition has. Or else they’ll bury their heads in the sand and very quickly bring about national bankruptcy. 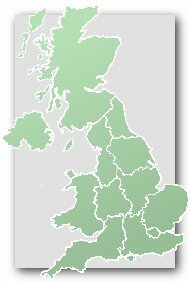 It’s not necessarily a most likely scenario, but it’s possible to envisage a pincer movement with the Tories dominating the south and the shires, leaving UKIP to ravage Labour’s former industrial vote in the north and midlands, leaving Labour with a rump vote of the inner cities plus South Wales and Scotland (presuming it isn’t independent by then). Interesting figures in the Ashcroft poll taken immediately after the by-election here. On the face of it the responses to the question asking voters who they anticipate voting for at the general election holds out hope for a better Conservative performance in that contest. It looks at the moment as though the Tories could expect to pick up some support from both UKIP and the Lib Dems. It is possible though that those figures could be more an indication of the extent to which the Tory vote was reduced to close to its core. and once the seat was lost, things went into meltdown. Those local elections in May 1992 were a clue. (I detailed some of it further up). although a 7% lead between the winner and the Tories is significant – nobody would say that was small in a General election national lead. whereas if the Tories had snatched it, the chances are they would have held on for the long term. It is pretty appalling how the LDs have walked this area in the local elections. I can only assume that there was a certain amount of complacency from the Tories after winning nearly 40,000 votes in 1992 (which was more down to the large electorate than a high percentage share but nonetheless it would have been difficult to imagine losing the seat after receiving so much support).